An Emmy Award nominated television producer and filmmaker, with a passion for creating content that makes a difference in peoples lives. Michal Siewierski is a world renowned documentary filmmaker, TV producer, and marketing expert. Michal has received multiple Emmy Award nominations and won several Telly Awards and Hermes Awards. Michal has over 16 years of experience in the fields of advertising and marketing with hundreds of TV commercials and digital campaigns to his credit. His productions have played online and on several TV stations throughout the United States as well as South and Central America. Born in Poland, raised in Brazil and a now a proud US citizen Michal has lived for 15 years between Chicago, IL and Phoenix, AZ. Michal Siewierski is an expert in multilingual and cross platform campaigns combining both online and offline marketing approaches. Having worked as a graphic and web designer early in his career, gave Michal a deep understanding of visual communications as well as online marketing and social media campaigns. Michal is fluent in Portuguese, Spanish, Polish and English. He is also considered an expert in several aspects of the production process, from initial stages of pre-production to writing, shooting and editing. Michal also specializes in political productions and communication campaigns, he has produced thirteen TV commercials for the winning 2011 Chicago Mayoral campaign for Current Mayor Rahm Emanuel (as well as his 2015 re-election campaign) and has produced TV commercials for President Barak Obama’s re-election campaign in 2012. Michal has also worked with numerous fortune 500 companies and hundreds of local clients. On his free time Michal is a private pilot and enjoys flying around the sky in small airplanes as well as spending time with his daughter, wife and their dog, an awesome black labrador. Michal is also an author and nutrition and health enthusiast, he produced the world famous documentary film entitled “Food Choices” currently featured on Netflix and on dozens of other platforms in 190 countries and translated to over 20 different languages. 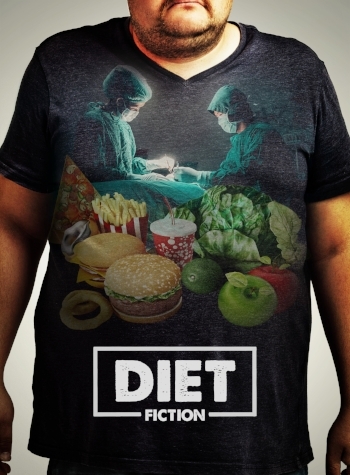 Michal is about to release his new feature lenght film called Diet Fiction with the global release scheduled for the fall of 2018. DIET FICTION follows the filmmaker in his exciting journey into the controversial world of weight loss and dieting, as he uncovers several shocking facts and confronts common misconceptions, and misleading information propagated by the industry over the last several decades. Showing the often-devastating effects that obesity has on people’s lives and exposing the viewer to new disruptive ideas and science based evidence that could potentially lead to long term sustainable weight loss and improved health. "One of the most anticipated health docs of 2018"
Currently available in 190 countries and in over 20 different languages through Netflix and dozens of other platforms. The film features Michal Siewierski on his three-year journey to expose the truth about our food choices. This ground-breaking documentary explores the impact that our choices of food have on people’s health, the health of our planet and on the lives of other living species. And also discusses several misconceptions about diet and nutrition, offering a unique new perspective on these issues. Featuring interviews with 28 world-renowned experts, including Dr. T Colin Campbell, Joe Cross, Dr. John McDougall, Capitan Paul Watson, Dr. Pam Popper, Dr. Michael Greger, Rich Roll, Dr. Richard Oppenlander, Dr. Toni Bark and several others. This film will certainly change the way you look at the food on your plate. "One of the best health documentaries I've ever seen." Emmy Nominated for best TV spot in PSA category. Telly Award winner for best TV campaign, auto category Spanish. Emmy Award nominated for best local TV spot in the midwest. Part of a thirteen TV spot series produced by Michal Siewierski for mayor Rahm Emanuel's winning political campaign, with AKPD media and Alario Group. Brazilian credit card series of promotional videos. President Barack Obama's TV campaign spot. Produced for AKPD media. Hermes award for best video in online app category. Telly Award winner for best campaign in auto category in Spanish language. One of the longest lasting TV advertising campaigns in Chicago's Spanish television. Over 100 spots produced for this client.